After months of going back and forth between Tucson and New York, we’re finally all settled in the Big Apple! One of the last special things my husband Seth and I did with our six year-old nephew Nicky before heading east full-time, however, was taking him along with us to Tucson’s Chantilly Tea Room. Our afternoon at Chantilly was Nicky’s first tea experience (although he’s been on board with the practice of removing the crust from sandwiches for quite some time). 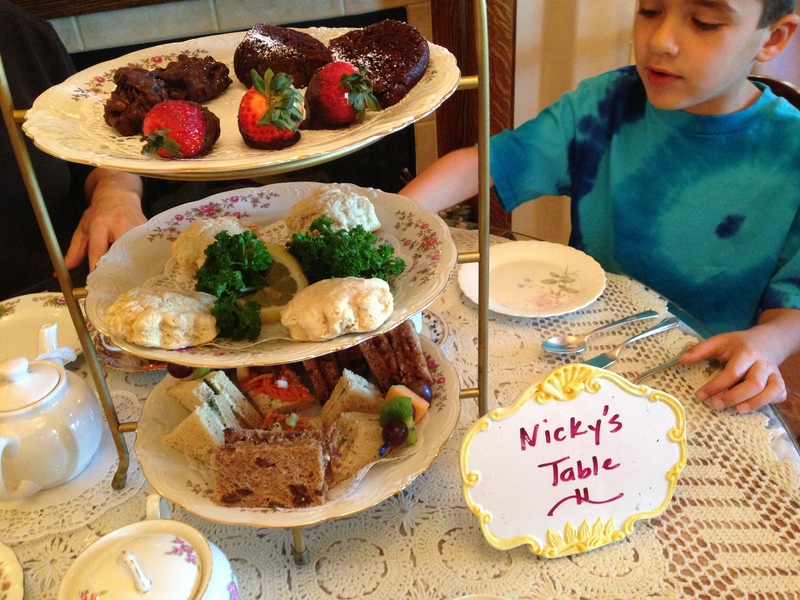 Nicky immediately was enchanted by the wonderland atmosphere of the tea house, loved the little teapots and cups and utensils — everything seems “kids’ size” — and he loved that he got to select his own teacup before being served. 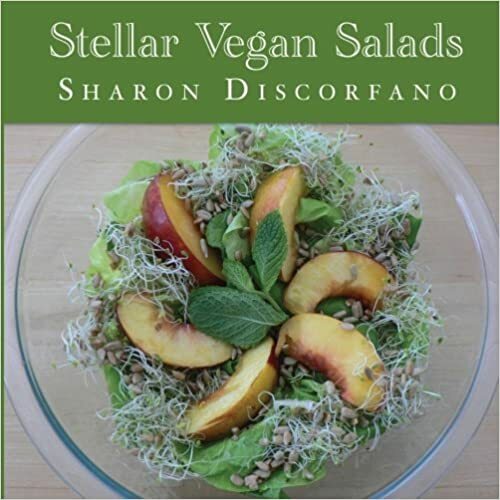 We called ahead to ask that our “Duchess Tea” be a strictly vegan affair, and the chef was more than happy to accommodate. In fact, catering to our six year-old’s tastes, she added some tea-style PB & J to the first tier. 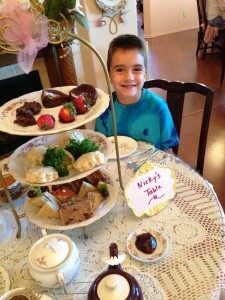 Thanks so much to Chantilly for making my cutie-pie nephew’s first tea experience such a delightful one… for all of us!